James Gandolfini, the burly actor best known for his Emmy-winning portrayal of a conflicted New Jersey mob boss in the acclaimed HBO cable television series The Sopranos, has died while on holiday in Rome. 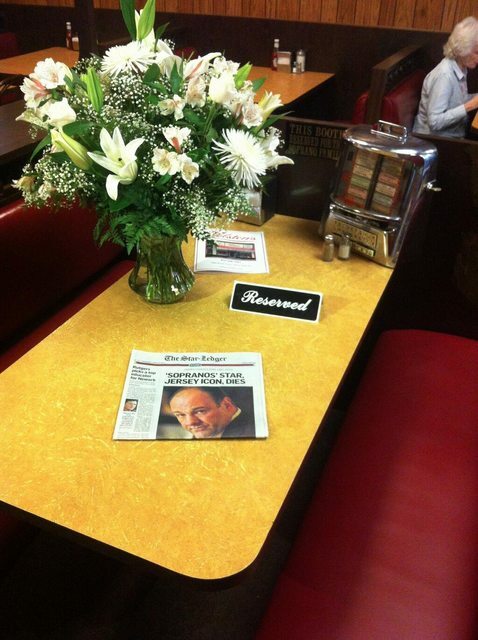 Briefly: After Wednesday’s devastating news of the passing of James Gandolfini, fans flocked to Holsten’s Ice Cream Shop in Bloomfield, NJ to pay tribute to the late actor. Holsten’s was the location of the iconic final scene of Gandolfini’s show, The Sopranos. To honor the actor, the shop’s owner did something incredibly classy. this really saddens me, he was really a great actor. His role as Tony Soprano was really iconic. RIP to his soul.